We teach Photography with nature as your canvas. At Birdwing, there's something new for everybody to learn, experiment and experience - irrespective of your current skill of handling the camera. Photography is an art of self exploration. The art of self exploration through photography & travel is an enriching experience by itself and this is what Birdwing is all about. Guiding ardent enthusiasts to experience the beauty of nature and travel while imbibing the art of photography, is what we are truly passionate about. Birdwing is about memorable photographic experiences, be it the joy of living with the beasts in the wild or traveling to the most scenic locales. Travel to off-beat destinations encompassing the most diverse of topographies across continents. A very limited number of like-minded participants per tour gives you an opportunity to discuss, learn and enrich your perspective on nature, travel and photography. Well researched itineraries to make the most of every moment your on the tour. Learn from experienced photographers who know their subjects as well as their art. No matter what level of photography skills you carry – you will still get personalised attention and guidance form our skippers. In-depth theoretical briefs before you step into the wild, so that you can fully understand your subjects and make better pictures. Our photo tours are an enriching blend of experiential photography, travel and living in the wild. They are truly unique as the tours are guided and our experts will also share their knowledge about the flora and fauna of the region. We believe this is what sets our tours apart as you will not just get to learn the art of nature photography but also gain a deep understanding of the subjects you will be making images of. Our photography workshops are intensive and hands-on theory classes which deal with the basics of photography, camera/equipment techniques, digital post processing and how you can play with light to make photographs that really stand-out. No matter what level of photography skills you carry, for beginners or advanced skilled photographers – there’s something for everyone to learn at our comprehensive indoor and outdoor photography workshops. Looking for a family get-away, or an exclusive group travel? We offer customized photography tour options and help you plan a wonderful holiday according to your requirements. You can choose from the two types of custom tour options. Fill this form and we will get in touch with you soon. 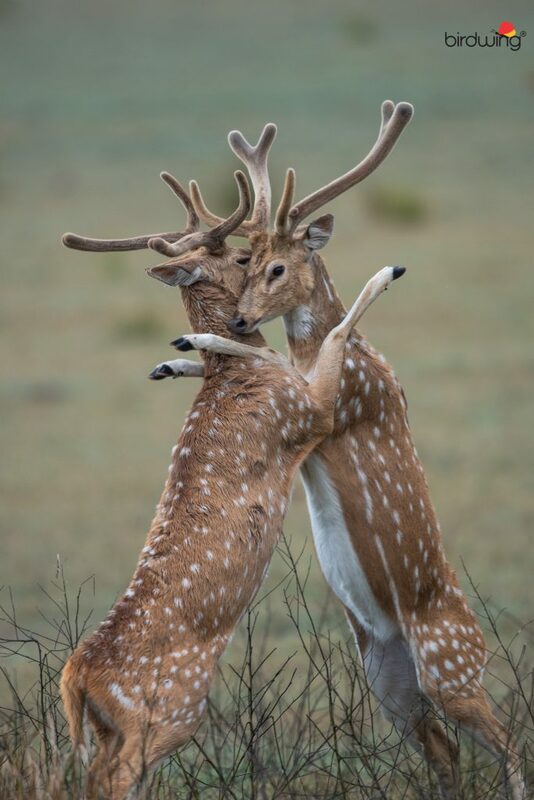 We have received multiple queries requesting tips on wildlife photography. Birdwingopedia series aims at providing tips and techniques on nature and wildlife photography. Look us up for pointers on best equipment and tips on photographic techniques that will help you on the field. In this blog post, we have consolidated our facebook posts (multiple) into one. Let us look at some great lens options. First up – 300mm f/4 (Nikon or Canon)- We just love this lens. It is extremely sharp, lightweight and its insanely compact size and weight make it a complete joy to use and possibly the perfect travel telephoto lens, especially if you are limited on space. This is a fantastic lens for bird photography with or without the 1.4x Teleconverter and pairs extremely well with a crop body like a Nikon D500 (7D Mark II for Canon). This lens doubles up as a wonderful option for butterfly photography too. Take a look at some of the images shot by us using the 300 f/4 (an older version of the Nikon lens). Our second lens recommendation would be a 70-200 f/2.8 variant. This smaller but yet very sharp lens in all the top variants (Nikon, Canon & Tamron). The fast 70-200 F2.8 lens. Though this lens is more considered for portraiture and general wildlife photography ( mammals ) they can also be used for bird photography with a little bit of extra effort from the user. This lens delivers some amazing bokeh if you shoot the subject with a clean background, hence most portrait photographers love this lens. They also work well in low light because of the wider aperture of F/2.8. Most of our wildlife sightings happen during the dawn and dusk, this lens comes very handily in such conditions. Of course, the focal length is very short for photographing birds, but, one can slowly approach by foot to get close to a cooperating bird or use a 1.4x TC to gain additional focal length. The TC is just an additional optics that you introduce to increase the focal length. For eg: in this case, you will get 200mm * 1.4x = 280mm as Focal Length. If your body has a crop factor of 1.5x then your virtual focal length becomes 420mm while your actual focal length is still 200mm on a 70-200mm f2.8. Though the result with a TC is not that great, still for an amateur it’s a good start. Here are few images shot with this lens (also with TC combination). If you are on a good camera body, you can further crop the image to make it a presentable one. Tags: AF-S NIKKOR 70-200MM F/2.8E FL ED VR, Canon EF 70-200mm f/2.8L IS II USM, Tamron SP 70-200mm f/2.8 Di VC USD G2 (for both Nikon/Canon bodies). Lens: Nikon 70-200, no TC and un-cropped version. Do write to us if you have a specific question to be answered. You can also join some of our tours to learn such tips. Heading out into the wild on a safari is an exhilarating experience, to say the least. The thrill of zipping through open grasslands, the sight of herds grazing up and close, and the silence of the wait to spot one of the big cats, all make for amazing moments. Few things in life can truly sum up the meaning of being alive as an animal safari can. Masai Mara is famed for being the location of the great African Migration. One of the world’s most authentic wildlife experiences, the great migration sees millions of antelope, zebras, and wildebeest travel great distances across the African Savannah in Kenya. To make this journey, the animals must brave the forces of nature and predators, including crocodiles and lions. It is a raw game of survival and the cycle of life enacted live before your eyes. This year, Birdwing takes you on an adventure to behold the grand Mara migration. Come and witness a spectacle like never before as the circle of life unfolds before your eyes. 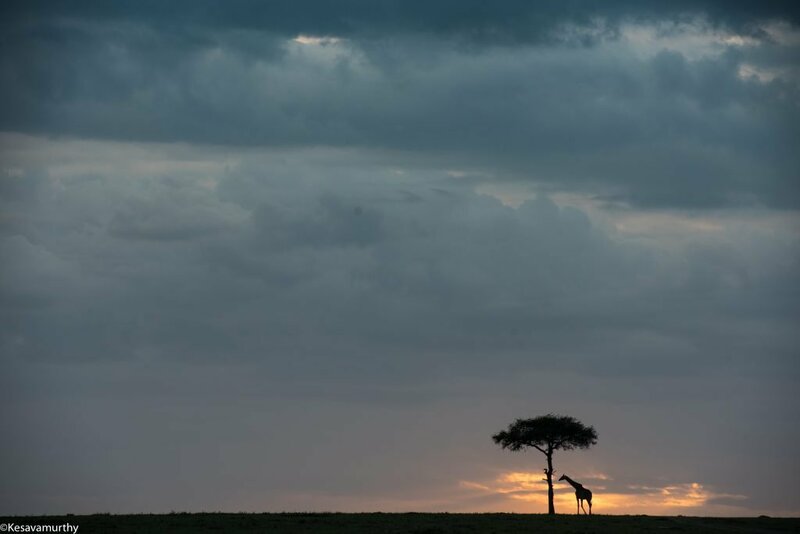 Nature can truly be seen at one of her finest moments in the great migration tour to Kenya. Staying close to the heart of the action is a key aspect of any wildlife safari tour. 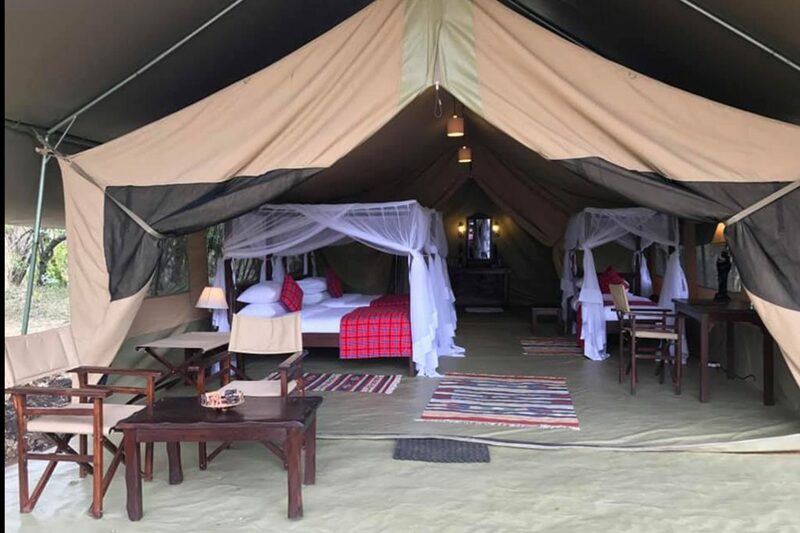 Which is why we accommodate you at luxury camps near Ol Kiombo airstrip, nestled snuggling within the Masai Mara National Reserve. Now, you need not waste precious daylight travelling to and fro during safaris. You live the moment; You live the action! 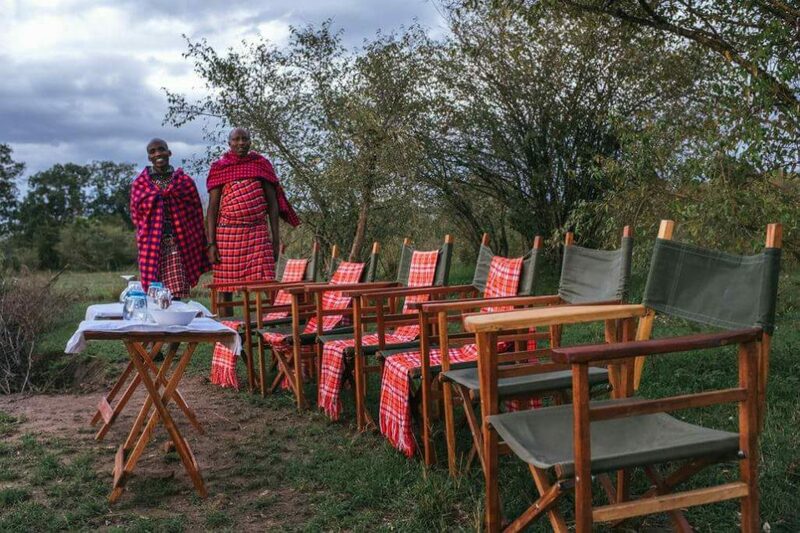 The luxurious camps at Masai Mara are run by hosts with a longstanding background in hospitality. Experts in their area of business, they offer a warm and homely welcome to guests and bring along their in-depth knowledge of the rich wildlife heritage of the African continent. If peace and serenity is what you seek, you will not be disappointed. 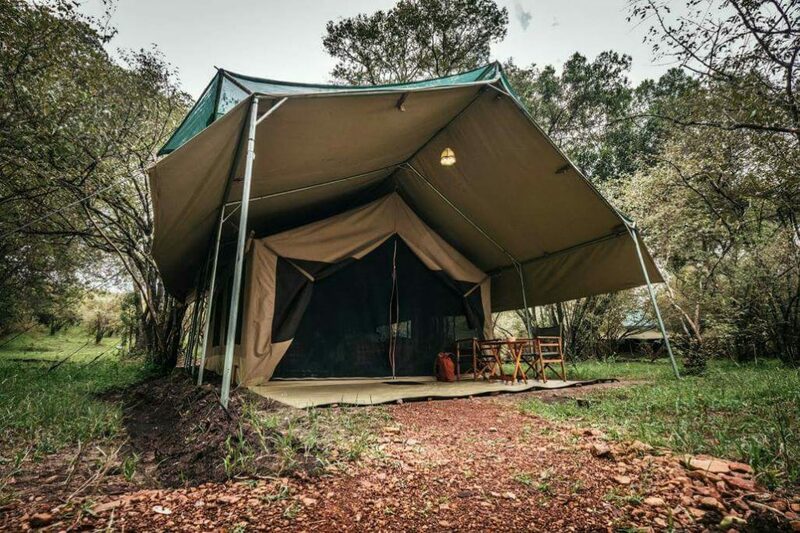 The well-equipped and comfortable tents offer tranquillity in nature. The maximum stay capacity extends to 15 guests at a time, so you can rest assured you are truly getting away from the hustle and bustle of city life. 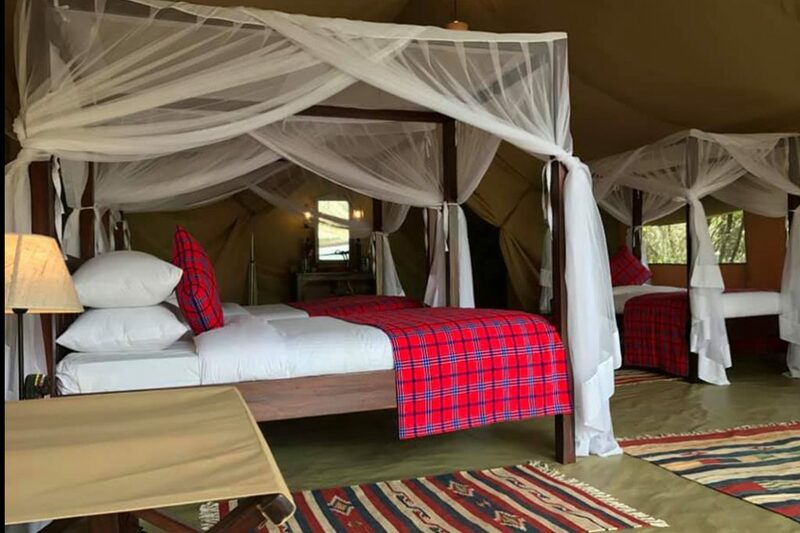 As an added bonus, the location of the stay is very close to major points of interest within the Masai Mara National Reserve. These include the Double Cross area, Paradise plains, and the river crossing point. The merging of the Mara reserve with the Serengeti across the vastness of the wilderness truly make for a brilliant set up. Truly a photographer’s delight. Take in the colours of the African savannah sunrise in all its shades of pink, orange, and red. The landscape stays silhouetted against the rising sun only to reveal itself in a flood of colour as the day grows. Indeed, waking up early has never been more exciting. 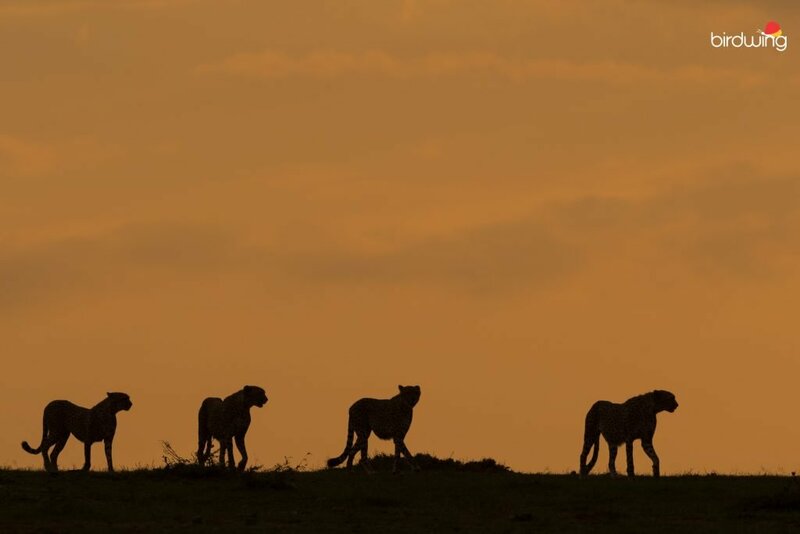 The location of stay is also in close proximity to the home of the Marsh Pride of lions: a family of lions who are now world famous thanks to their featuring in BBC TV productions such as Big Cat Diary and Big Cat Live. Yes, these cats are not just big, they are big celebrities! Every trip to a new country is an opportunity to indulge your taste buds. 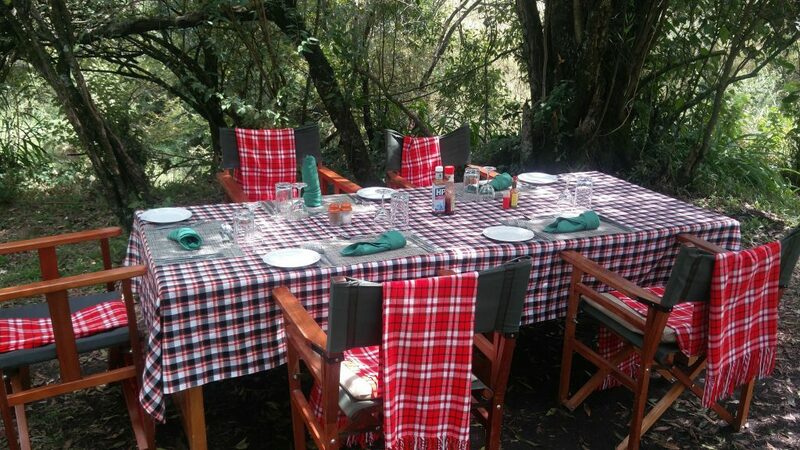 Our tour to Masai Mara is no less than a food connoisseur’s delight. 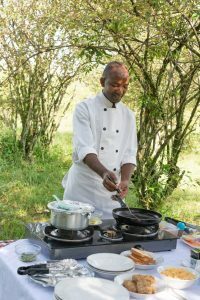 The camp chef is an expert in Indian, Continental, and European cuisines. In fact, you can even enjoy a plate of piping hot kitchdi/Kichadi all these miles away from home! While on tour, we dine with a view. We set off on the safari early morning so as not to miss any of the action. We carry along a packed breakfast and eat in the bush while taking in the relaxing sights and colours of an early morning in the African wilderness. Back at camp, lunch is served by the riverside that overlooks a view of grazing hippos and zebras. You will even spot the occasional giraffe grazing its favourite acacia leaves. We do not waste even a minute of light. We head back only after sunset, when our cameras have captured images to our hearts’ content. This ease of access is owed to the proximity of our camps to the main reserve area. 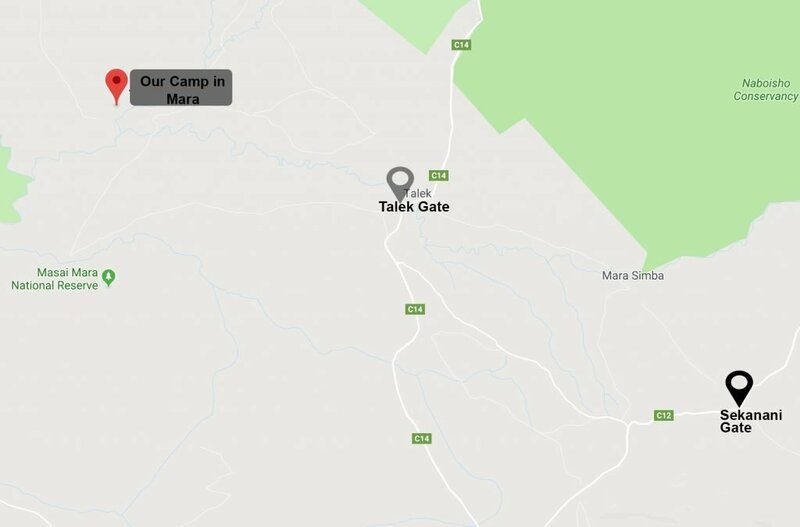 A night in the camps in Mara holds a thrill of its own. We dine under a star-spangled sky as we listen to stories from the natives, exchange tales of our own, and share wonderful images shot of the day gone by. Friendships are forged and memories made to be cherished for years to come. Finally, as you fall deep into sleep, let nature sing you the ultimate lullaby. 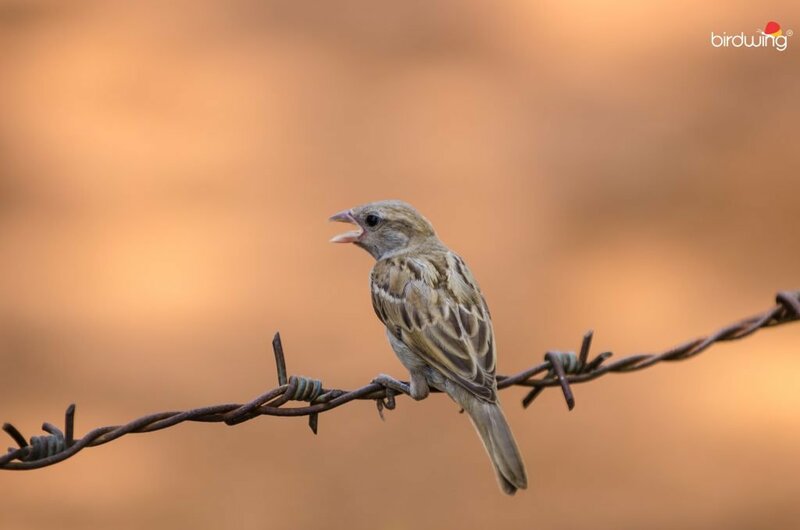 Hear the sound of hyenas, leopards, lions, zebras, and a host of birds of East Africa as they all create a truly wild symphony. Birdwing conducts photography tour with such experience during migration and also during November and January every year. It is said that no love can match the love of a mother for her child. This holds true not just in the human world but also in the animal kingdom. Nature marvels us constantly with her displays of beauty and bravery, sceneries and subtleties, and so much more. Yet, what really strikes at the heart is the pure love and strength of motherhood in the animal world. With women’s day just gone by, the feeling of oneness extends to our friends in the wild outdoors too. Here’s looking at some truly marvellous examples in wildlife that truly exemplify what it means to be a mom. The regal-looking tiger is a feared beast whose eyes seem to betray no mercy. Yet, this apex predator has a loving and tender side: as a mother. The tigress tends to her cubs while hunting and making sure that they are well-fed and protected. She stays with them quite long until they are fully grown and can fend for themselves. Once, she is sure that her young ones can withstand the pressures of the big wild world on their own, she sets them free to live their own lives. If the lion is the king of the animal world, the lioness is no less than a queen. This regal animal too holds the fort together and stays the matriarchal head of her family. The lioness rears her cubs on her own, teaches them to survive, and protects them till they can fend for themselves. And, she does all this and more will still be the sole breadwinner for the pack. Lions are not known to hunt; it is the female who gets the kill in and lets the male eat first. In the animal world, a mom too needs to deal with disobedient children. 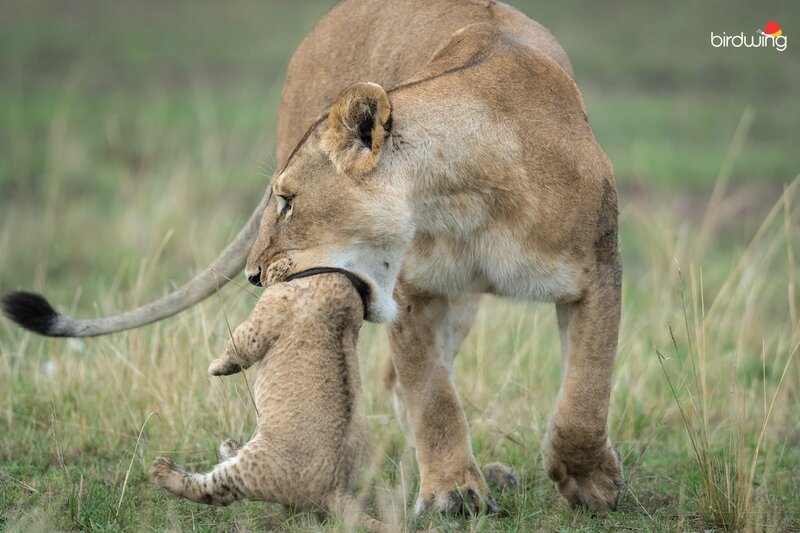 The lioness snarls at her cubs to stay put while she hunts but they often disobey and this forces her to control them firmly albeit gently. The cheetah is known to be the fastest of all mammals yet few are aware of another quality the female of the species possesses: she is a single mom. Soon after the cubs are born, the male moves away to continue his life nonchalantly. It is the female who protects her new-borns by multitasking in the unforgiving wild in order to keep them safe. She hunts, protects, teaches, and feeds them all alone. When her cubs reach a sub-adult stage, they gradually begin living on their own. Seen here is a mother cheetah teaching her sub-adult cubs how to tackle prey while herself blocking the path so as to prevent it from escaping. If paper wasps could talk, they would tell you that it is the women who do run the world. 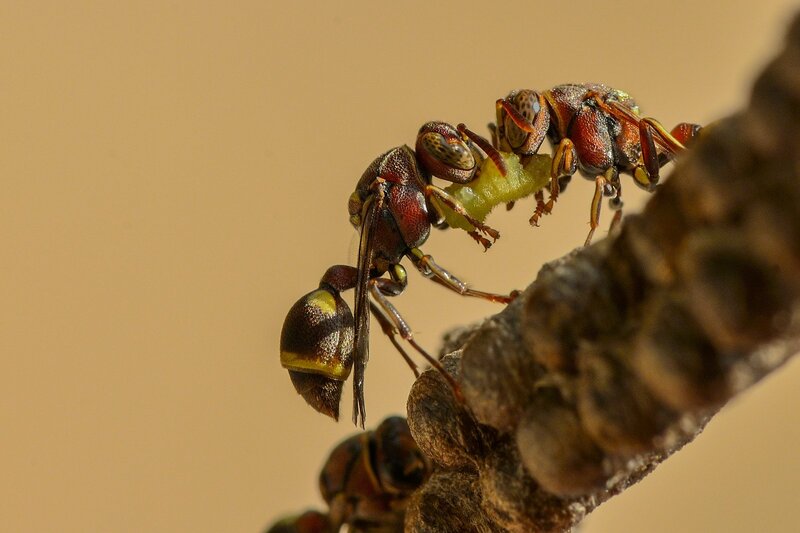 In their tiny kingdom, female wasps hold the nest together, keep the larvae safe from predators, and even forage for food. Multitasking is merely a day’s work. The head of the wasp family is undoubtedly the queen who lays the foundation of the nest. Counted among the smallest creatures of the natural world, wasps too go to show the role of the feminine in overall sustenance of life on earth. Another creature of the insect kingdom to make it on this list, leaf-cutter bees too make for single mums. 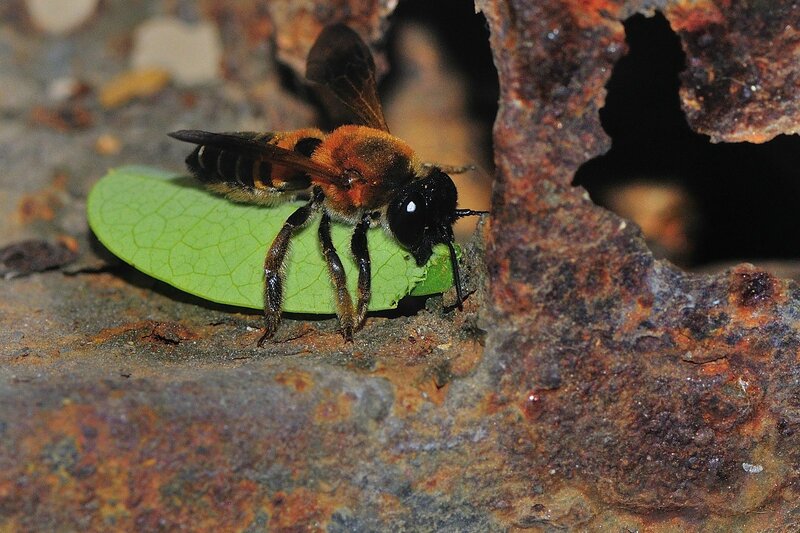 The female bee painstakingly cuts out pieces of leaves in order to singlehandedly build a nest for her future young ones. And, not just any leaf will do; the mother bee chooses only the choicest, juiciest leaves that will make for a cosy nest. She stocks up her self-made home with the best food she can forage and then prepares to enter a new phase of her life: motherhood. The Green lynx spider may be a tiny creature yet it shows size is no matter when it comes to matters of the heart. 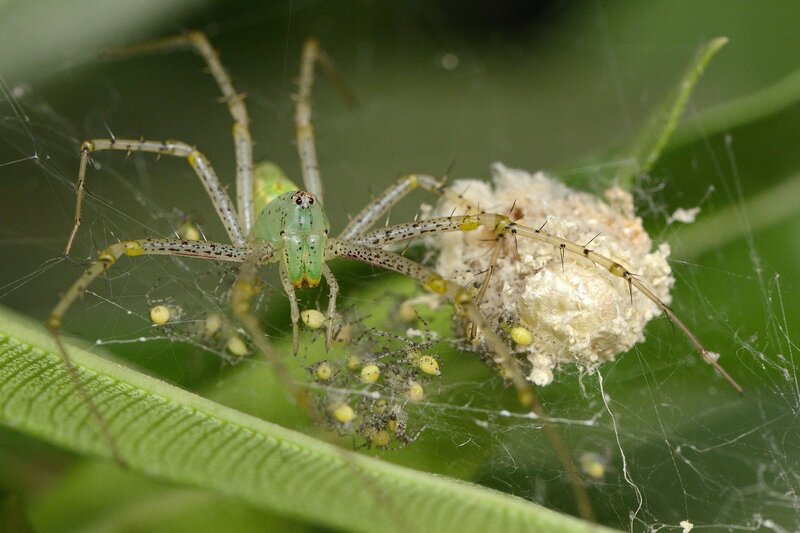 The female spider takes her duties of motherhood very seriously indeed. She stays with her eggs protecting them all alone until they hatch. Post this, she singlehandedly makes sure the young ones are fed and also wards off any possible predators. All the while the female spider braves the odds for the survival of her family and the continuation of her species. This is no mean feat considering the large number of offspring that a spider can have at a time. We truly respect these moms of the natural world and admire them in wonder as they protect their young ones while in sync with the cycle of evolution. A dense jungle stretched across the vast expanse of North India, Corbett National Park is a must-visit for any photography enthusiast. Known to be one of the country’s oldest national parks and tiger reserves, Corbett was established way back in 1936. The national park itself was named for legendary British naturalist and author Jim Corbett who brought fame to this northern home of tigers with his work Man-Eaters of Kumaon. Birdwing’s recently concluded photography tour to Corbett brought forth memorable experiences that truly increased our reverence for nature and all forms of wildlife. 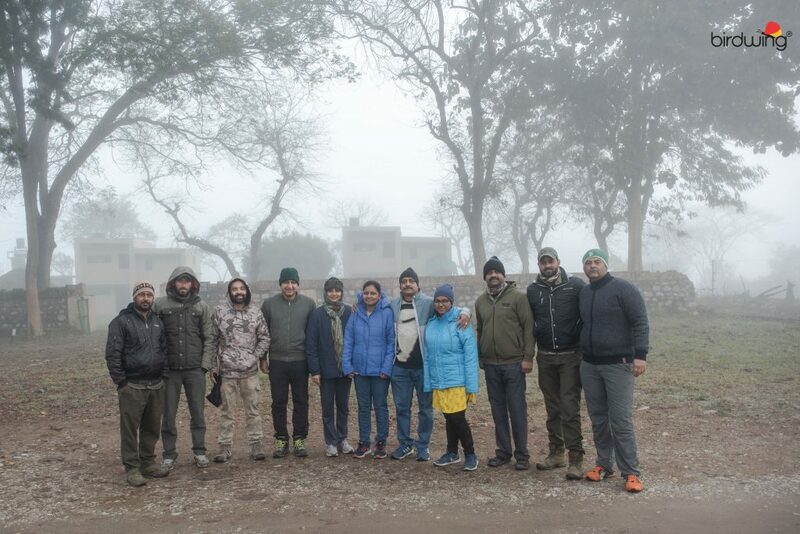 A group of 7 shutterbugs headed out into the wild to enjoy an adventure in the lower Himalayan forest belt. 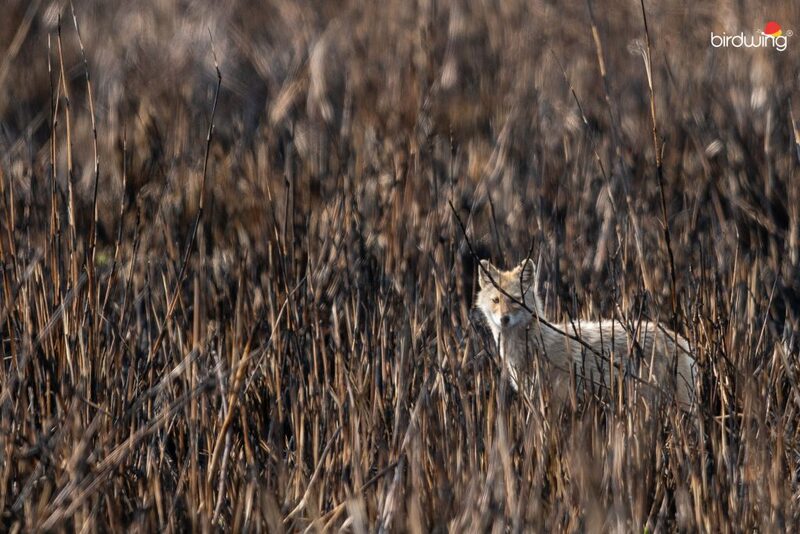 Over a period of several days, we were fortunate to encounter many forms of avian and mammal wildlife while increasing our erudition in the field of our first love: nature photography. Corbett forms an indispensable component of Uttarakhand wildlife tourism. This national park is spread over an area of 520 square kilometres and has a topography that comprises of dense forests, lush hills, riverine belts and a large lake. With over 600 species of plants, 600 species of birds, and more than 100 tigers, you better make sure to keep plenty of space free in your camera for every second is a frame waiting to be captured. In fact, Corbett is one of the few national parks in the country that offers an overnight stay within its premises to tourists. The night stay in the forest is truly an experience to cherish. The navy-blue sky filled with stars illuminates the dense and rich vegetation all around. The softness of the air is broken only by the occasional twittering of birds and racket of insects. The chill in the air serves to remind you that you are within the territory of the Himalayan belt. 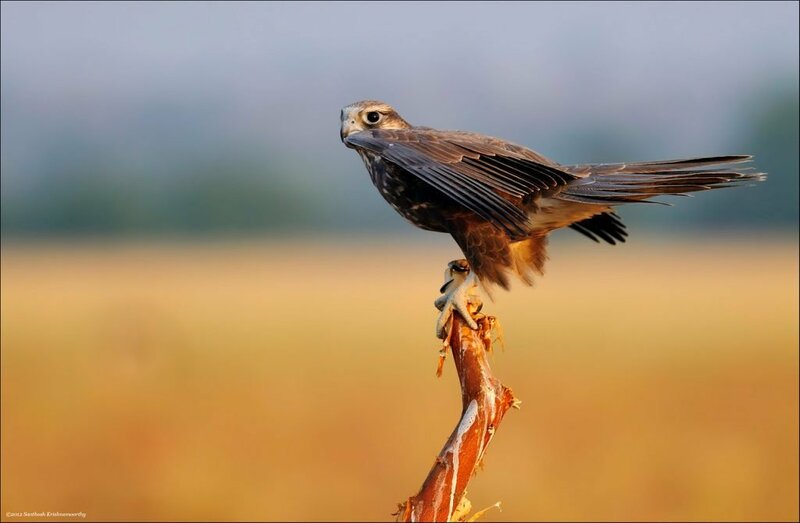 The Jim Corbett National Park provides one of the finest opportunities for birding in India. 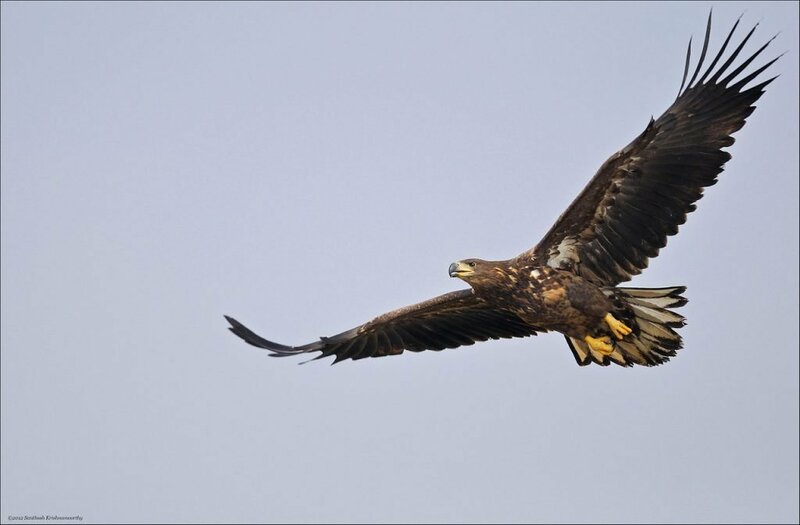 We were truly amazed to spot manifold species of birds during the course of our photography tour to Corbett. Some of the encounters were truly magnificent as they let us live the cycle of life in nature as it was in progress. 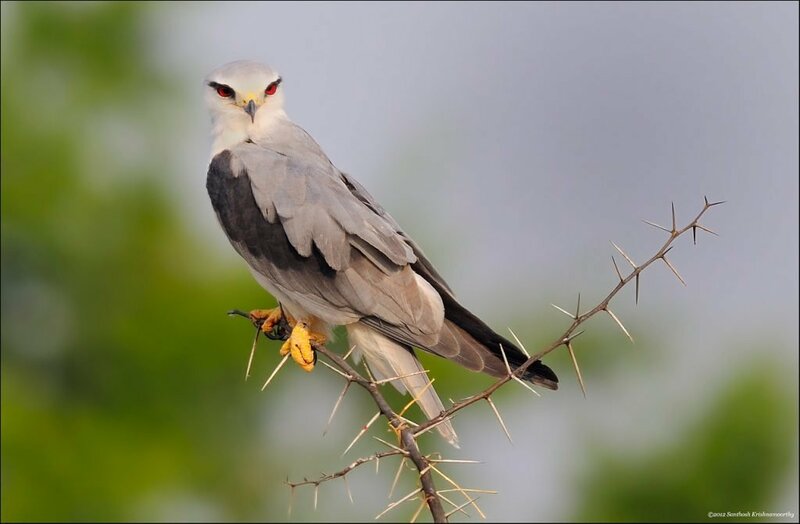 For instance, we spotted the huge changeable hawk-eagle as it stalked and hunted down a red jungle fowl that it had chosen for its meal. The bird of prey took the fowl into the jungle to make a feast of it, completely oblivious to our wonderous gazes. We also spotted common kingfishers as they relaxed by the shiny pebbles of the Ramganga river. From here we traversed a wooden bridge to the Par region of the national park which is home to its namesake tigress Parwali and her cubs. Our patience and stealth were rewarded when we spotted the big cat and truly clicked away to our hearts content. Some of the other birds spotted while on tour included the crested serpent eagle, crimson sunbird, grey hornbill, long-tailed shrike, plum-headed parakeet, black stork, river tern, bank mynah, blue-throated barbet, pied bushchat, river lapwing, red jungle fowl, hen harrier, black stork, oriental white-eye, and blue whistling thrush, among others. 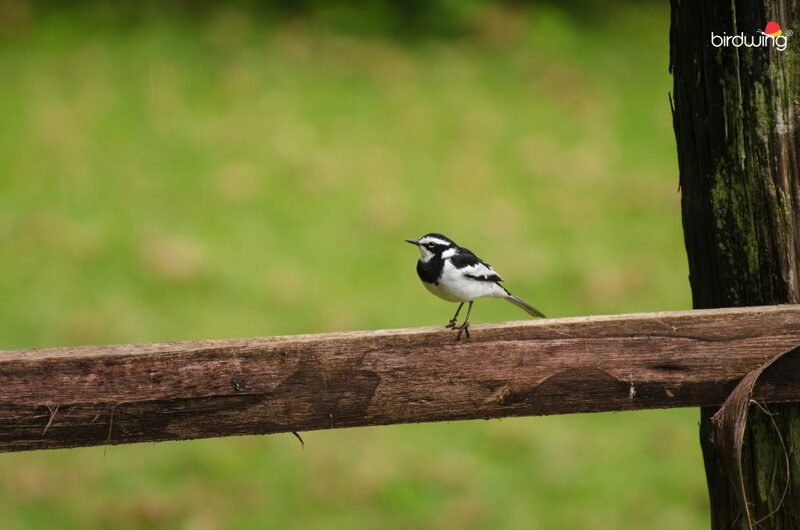 The presence of such an eclectic mix of avian wildlife makes Corbett a haven for keen birdwatchers. 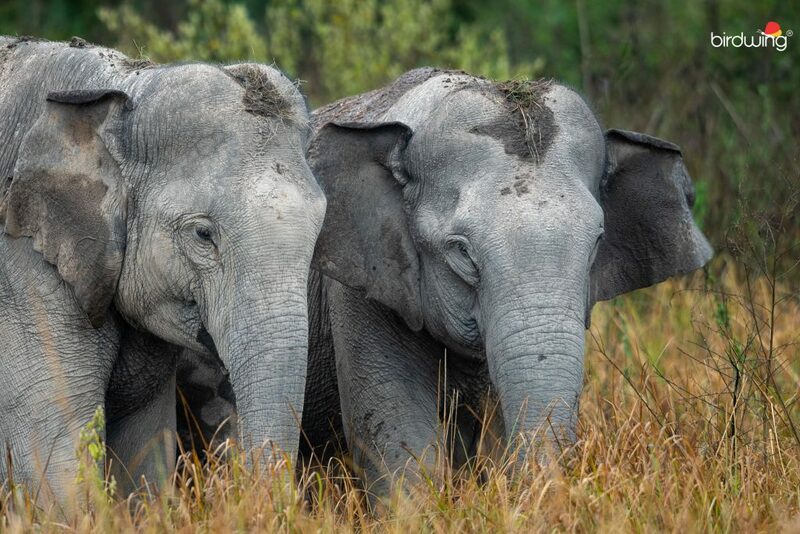 A winter photography tour to Corbett is incomplete with the chance to witness the majestic Asiatic elephant at home in these vast Himalayan grasslands. We were truly fortunate enough to spot a herd protecting their young calf. We kept at a distance so as not to disturb the cycle of life and captured frame after frame of these colossal creatures that truly inspire respect. 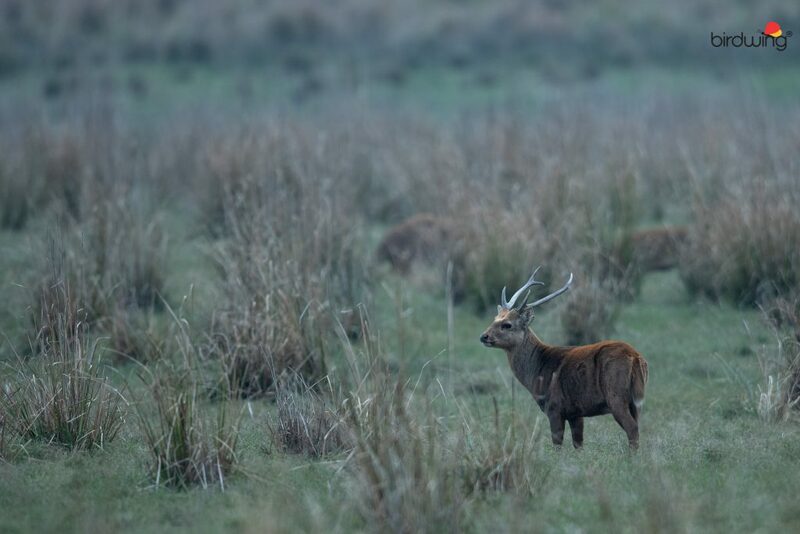 A photography tour to Corbett is also extremely rewarding in terms of the abounding landscape that provides multiple frames each worthy of being captured. From sunrise to sunset, we were truly thrilled at the opportunity to capture each moment of nature in all its unique colours and glory. We left from Corbett with our hearts and cameras full and eagerly look forward to our next photo trip here this May! The Andaman Islands are an archipelago in the Bay of Bengal. Supporting a wide variety of bird and animal life, these picturesque islands make for the perfect locale for a bird photography tour. The white sand beaches, lush mangroves and coral reefs are truly a nature lover’s delight. Think of a photography tour destination and Andaman surely comes to mind! Our recently concluded Endemics of Andaman – Bird photography workshop was an experience to cherish. Over a period of 9 nine days we covered the length and breadth of the verdant island in search of local and migratory birds. And, we were surely not disappointed. 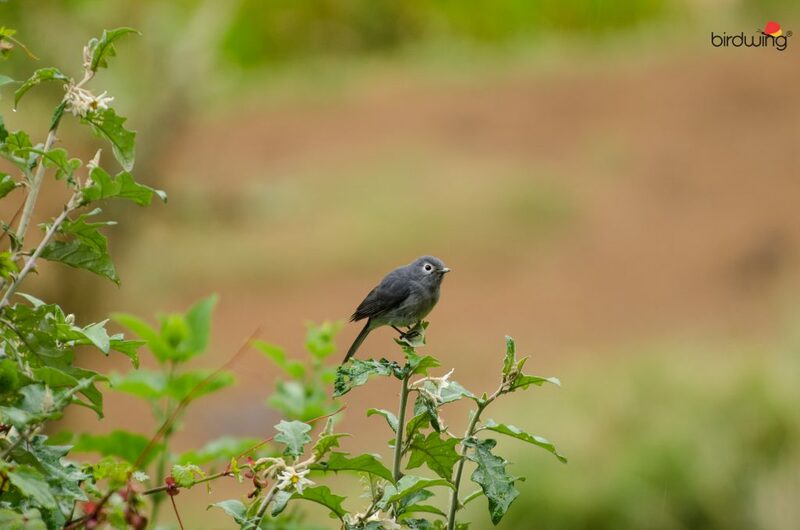 Our search and patience yielded fruit as we were fortunate enough to spot a myriad of endemic (exclusive to the island) and migratory birds that flocked to the rich and fertile lands of the islands. We bring to you a few of the delightful shots that our trip in nature rewarded us with. After a couple of days of birding at Port Blair we boarded a ship to sail to another wonderful location. An 8-hour overnight ship to Little Andaman was an experience to remember. The twinkling of stars in the navy-blue sky was reflected so purely in the vastness of the ocean all around. We awaited with much anticipation for our arrival at the fourth largest island in the archipelago and were eager to start our photography workshop there. Birding in the Andaman Islands is a truly gratifying experience when you spot rare species such as the Mandarin duck make an appearance. This truly unique perching duck is painted in so many beautiful colours that it makes for a photographer’s delight. Some of Andaman endemics in wildlife are scarce in sighting. So, we were truly surprised and delighted to witness a pair of Andaman barn owls make an appearance in broad daylight. We clicked away and yet were careful to keep silent and let the beautiful pair enjoy their basking time in the sun even as we were gifted with some amazing shots of their outdoors presence. Night photography has a thrill of its own. The silence in the air is often broken only by the sound of the wind and rustling of leaves. The peaceful atmosphere leaves you at ease to explore, unfettered by the rush of daytime hustle and bustle. Our nightly photography outings too were extremely edifying in experience. 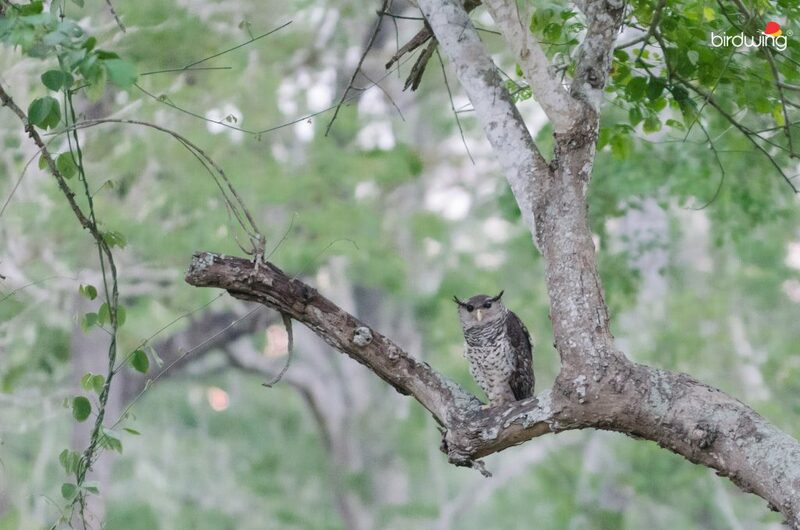 We spotted many endemic species of owls and even the nightjar. Needless to say, we went click happy and had a great learning experience on night photography lessons. Nature thrills us most when it is in action. One evening we were pleasantly rewarded with the amazing chance to capture images of the stork-billed kingfisher as it made an evening meal of some fish. The elegance of this tree dweller as it cleanly dove into streams and came up with its meal in its beak is an image that will stay etched in our minds and in our cameras for a long time. As the sun set, we exchanged details on shots taken and relaxed by the cool water’s edge. A sighting we won’t forget for a long time to come is that of the bashful watercock. This dark-coloured forager is a secretive creature and we were truly excited to spot it in a pair as they dug their short beaks in the mud perhaps searching for twigs or even insects to feed their young. Some species of avian life are exclusive to the Andaman Islands. This means that birding enthusiasts from across the world come here to witness their beautiful creatures and capture them in their pictures. 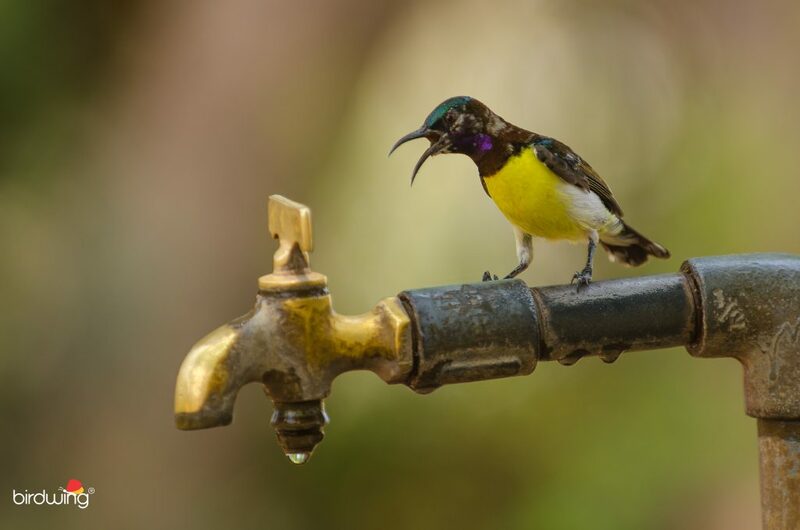 We were truly fortunate to be able to photograph some of Andaman’s native avian life forms. 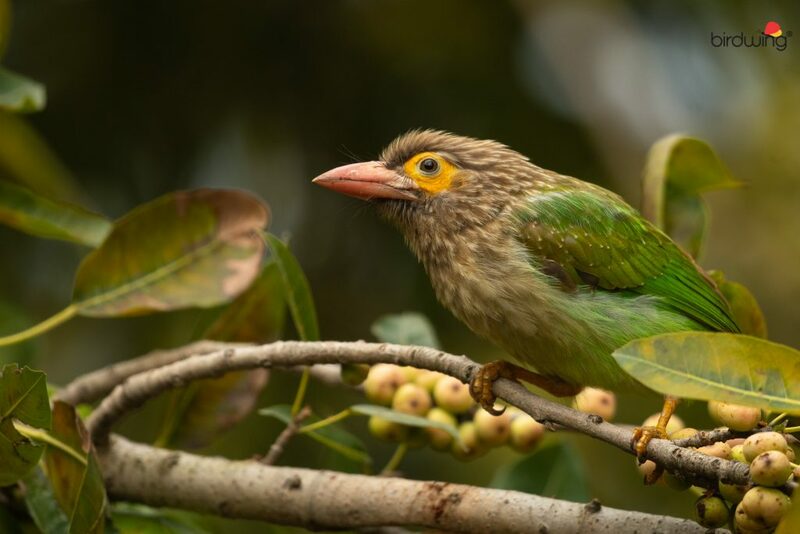 Among the endemic birds we spotted in our bird photography workshop include the Andaman serpent eagle, ruddy-breasted crake, Andaman scops owl, Andaman drongo, Andaman coucal, Andaman woodpecker, Freckle-breasted woodpecker, Andaman shama, Andaman treepie, Andaman flowerpecker, Andaman white-headed starling, Andaman bulbul and the Bar-bellied cuckoo shrike. All of these gorgeous creatures exquisitely call the Andamans their home and can be found nowhere else in the world. The Andaman Islands are also extremely rewarding in terms of landscape photography. The clear blue skies are vividly reflected in the depth of the clear sea. Palm-fringed beaches, pearly-white sands and lush tropical forests all blend with a far-flung horizon to make for truly memorable photographic shots; each one worthy of being a desktop wallpaper. Warm golden sunrises and deep pink sunsets are moments that will hold you captive with wonder at nature’s beauty. With a deep sigh we bid farewell to the scenic Andamans and eagerly await our next photography workshop here soon. Till then, happy clicking! Sundarbans is the longest mangrove in the world where the Indian part of Sundarbans is estimated to be about 4,110 km2 (1,590 sq mi), of which about 1,700 km2 (660 sq mi) is occupied by waterbodies in the forms of river, canals and creeks of width varying from a few meters to several kilometres. All the rivers have a southward course towards the sea. The eco-geography of this area is totally dependent on the tidal effect of two flow tides and two ebb tides occurring within 24 hours with a tidal range of 3–5 m and up to 8m. The tidal action deposits silts back on the channels and raising the bed, it forms new islands and creeks. When the low tide starts, various other creatures emerge. Like, this monitor lizard trying to feed on the mudskippers. Two mudskippers on combat. You can see them sizing each other. These amphibious fish use their pectoral fins and pelvic fins to walk on the land during intertidal habitats. One might see during the low tide time. One has to navigate by boat around the islands on the main streams. The bushes at the edge of the mudflats give a feeling of the mysterious forest. It’s not uncommon for anyone to wonder, what could be behind those bushes and there is always anxiety of sighting the apex predator of this harsh habitat. Birdwing has been traveling to Sundarbans in search of the mighty tiger and in our last tour, we had the best sighting of the apex predator all for ourselves. Here is a short video which was made by our participant. It was one of the greatest wildlife sightings for everyone on that tour with Birdwing. 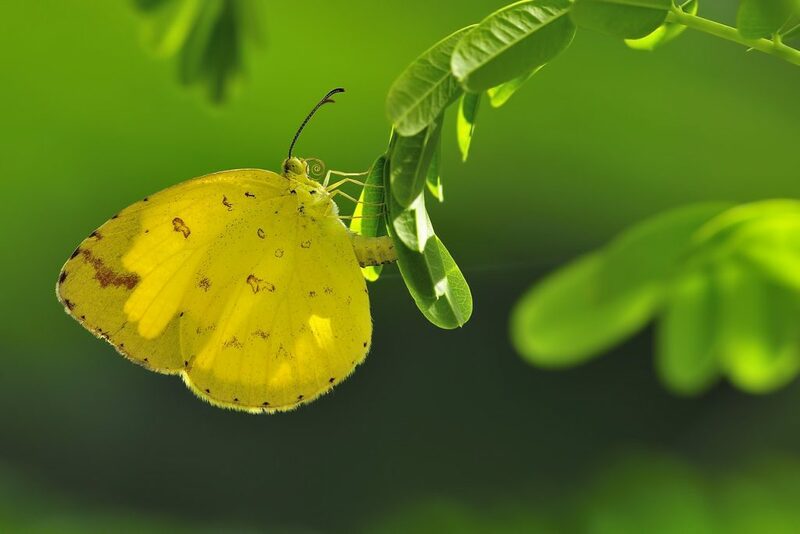 Birdwing conducts regular photography tour to Sundarbans National Park. On these tours, we explore various streams looking for kingfishers, falcons, other birds and mammals. Join our upcoming tour to Sundarbans. Write to us at info[at]birdwing[dot]in to avail 5% discount right away.